Late goals from Jordan Ayew and Luka Milivojevic saw Crystal Palace secure a 2-0 win against Wolves at Molineux. Ayew broke the deadlock in the 83rd minute with his first goal for the club before Milivojevic's penalty in stoppage time, after Ryan Bennett had brought down Wilfried Zaha, secured all three points. Victory sees Palace stay 14th but they move six points clear of the relegation zone after picking up seven points from their last four matches in the league, while Wolves drop a place to ninth after a disappointing evening. Crystal Palace enjoyed plenty of possession, but chances were few and far between during what was an extremely poor opening 45 minutes of football. 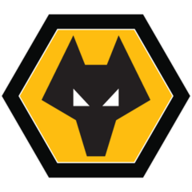 Wolves: Patricio (6), Bennett (6), Coady (7), Boly (5), Doherty (6), Saiss (5), Moutinho (6), Jonny (5), Cavaleiro (6), Costa (5), Jimenez (5). Subs: Gibbs-White (6), Neves (6), Traore (n/a). 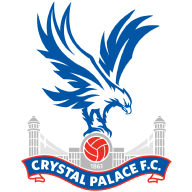 Crystal Palace: Guaita (7), Wan-Bissaka (7), Tomkins (7), Sakho (7), Van Aanholt (7), Milivojevic (7), Kouyate (6), McArthur (6), Townsend (7), Zaha (7), Ayew (8). Milivojevic went closest to opening the scoring for Palace. Wily Boly's error gifted possession to Andros Townsend and the winger picked out the Palace skipper, whose shot was tipped over by Rui Patricio. Wolves struggled to get going but they should have taken the lead in the 36th minute when Ivan Cavaleiro's corner picked out an unmarked Boly in the penalty area. The defender miscued his header, but the ball bounced kindly for Matt Doherty at the far post and he sent the ball over Vicente Guaita's crossbar. Wolves did improve after the break, but their evening was summed up when Jonny struck high over Guaita's crossbar from the edge of the penalty area on the hour mark. Palace's struggles in front of goal have been well documented this season but they grabbed the opener seven minutes from time as Ayew scored his first goal since April 14. Wolves made three changes from the side that beat Tottenham 3-1 at Wembley. Romain Saiss, Joao Moutinho and Helder Costa came in for Ruben Neves, Leander Dendoncker and Adama Traore. There was one change for Crystal Palace from the side that lost 1-0 to Chelsea. Jordan Ayew returned in place of Jeffrey Schlupp. The ball dropped to Patrick van Aanholt on the edge of the area and his shot fell to Ayew, who produced a brilliant touch to bring the ball down before striking home his first goal of the season from six yards. Wolves finally produced their first shot on target in stoppage time as they went in search of an equaliser, but substitute Ruben Neves' drive was palmed away to safety by Guaita. Milivojevic then wrapped up Palace's first top-flight win at Molineux, emphatically scoring from the spot after Bennett had fouled Zaha. Crystal Palace have won consecutive away Premier League games within the same season for the first time since April 2017. Wolves have lost five of their last seven Premier League home games (W2 D0 L5) after remaining unbeaten in their first four at Molineux this season (W2 D2 L0). Wolves attempted just one shot on target in this match, their joint-lowest tally in a Premier League game this season (also one vs Watford at home in October). Only Liverpool (12), Chelsea (10) and Tottenham (9) have kept more Premier League clean sheets this season than Crystal Palace (8). 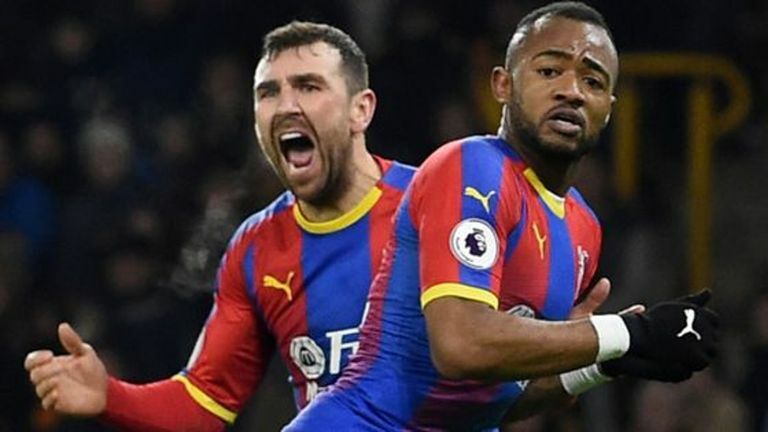 Jordan Ayew scored his first ever Premier League goal for Crystal Palace, last netting in the competition for Swansea against Everton in April 2018. Since the start of last season, Crystal Palace's Wilfried Zaha has won eight Premier League penalties, two more than any other player. 78% of Crystal Palace midfielder Luka Milivojevic's Premier League goals have been penalties (14/18) - the highest ratio among players with 15+ goals in the competition. Ayew plugged away all evening for Palace and he got his just rewards seven minutes from time. His struggles in front of goal have been well documented since moving to Selhurst Park on a season-long loan from Swansea on Deadline Day, but he showed brilliant composure in controlling Van Aanholt's miscued shot dead before finishing past Patricio for a timely first goal for the club. 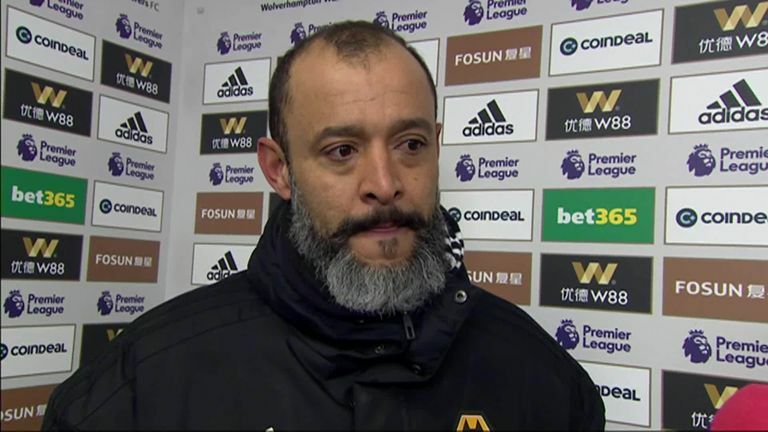 Nuno Espirito Santo: "I'm disappointed but it was a tough game. The first half was very compact but in the second half we started good and created a couple of chances. But as the game went by we managed the ball sometimes, but the counter-attack of Palace created us problems. It was a tough game so credit to Crystal Palace because they fight, and this is the game, sometimes you win and sometimes you lose." Nuno Espirito Santo was left disappointed after Wolves lost 2-0 at home to Crystal Palace in what Santo described as a frustrating performance. Roy Hodgson: "I think we did [deserve victory]. It was a very good team performance right from the start of the game. I thought we had a lot of possession and asked a lot of questions. It's not easy to score against this Wolves team, which has a lot of confidence, but even though a point would have been an acceptable result, quite honestly, we did deserve to win the game." 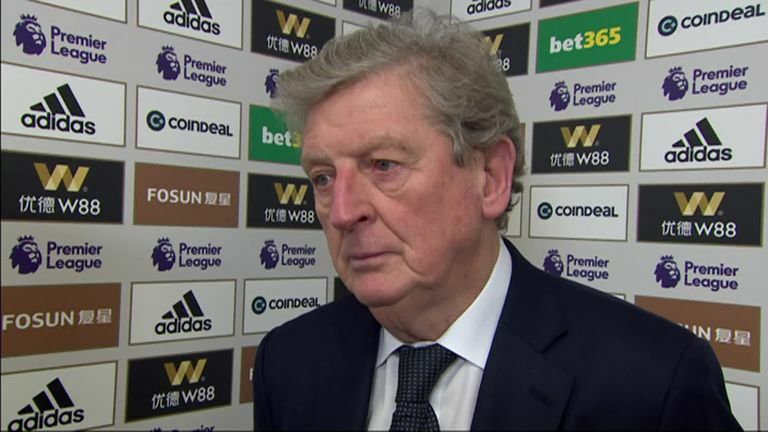 Roy Hodgson admitted that he would have settled for a point at Molineux but felt his Crystal Palace players deserved the win more than the opposition as they won 2-0 against Wolves. "Wolves just looked like they'd had too many games," he said. "They looked tired and this was a thoroughly deserved win for Palace. Palace had the players with energy. Townsend and Zaha were both excellent in committing people, and Ayew got his goal. Do I think he was offside? Yes, I do - but the touch is that good, it's deserved to be a goal. Wolves have this inconsistency against sides eighth down. It seems bizarre. They've had an incredible season, so we should praise them. But it's a disappointing night for them." Wolves are back in action on Monday when they face Liverpool in the third round of the FA Cup (7.45pm). Their next Premier League action is on Monday January 14 when they take on Manchester City at the Etihad Stadium, live on Monday Night Football (Sky Sports Premier League, 7pm). Crystal Palace are in FA Cup action on Saturday when they host Grimsby Town in the third round (5.30pm). Palace are back in action in the Premier League on Saturday January 12 when they face Watford at Selhurst Park (3pm).